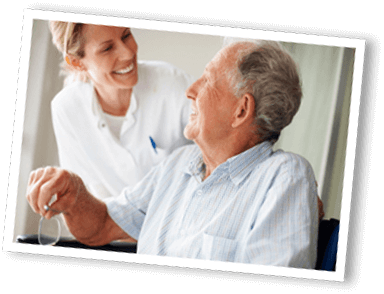 WB has been providing exceptional service to skilled nursing facilities since the early 1990's. Their ability to customize and individualize programs to meet the specific and unique needs of Long Term Care clients is Williams Bros.’ #1 priority. Williams Bros. has developed methods to assist you in reducing hospital re-admissions and will partner with you to meet and exceed the quality measures of the Accountable Care Organization (ACO) program and all CMS guidelines. Whether your facility is licensed, unlicensed or Memory care Williams Bros. has you covered. WB staff can customize all of your residents’ needs from customized packaging and delivery to med carts and pharmacy consultation as needed. Through providing much of the same services as skilled nursing facilities, WB is able to ensure medications utilized are effective while assisting in cost management for you and your residents. Williams Bros. LTC Pharmacy provides your correctional facility with access to leading pharmacy technology enhancing safety and security. WB processes reduce medication errors while cutting costs. Williams Bros. uses an innovative approach to servicing ICF/DD and related facilities. WB works with you to develop a customized program that meets the needs of your organization. Determining proper packaging and optimizing billing, will keep your facility compliant and deliver the medications your clients need while also assisting with cost containment.